Fairway Lakes is centrally located in Myrtle Beach in The Plantation Pointe community. 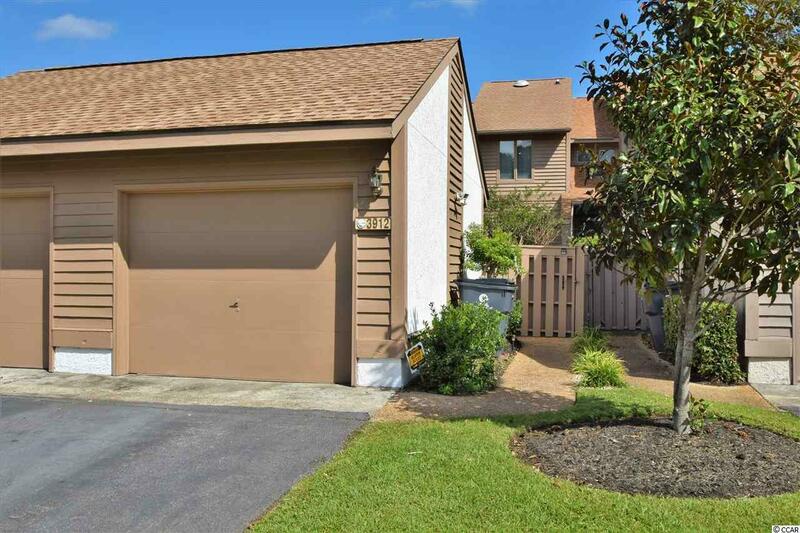 These 2 bedrooms, 2 1/2-bathroom townhouse with a private 1 car garage is only minutes to all attractions, shopping, nightlife, restaurants and 1.6 miles from the Beach. 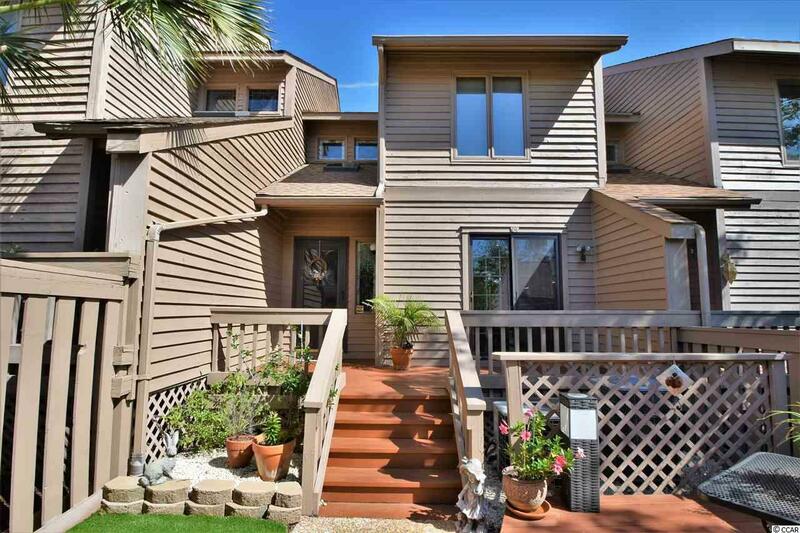 This amazing townhouse has an expectation view off the 1st green of Myrtle Woods Golf Course. Beautiful views from both balconies downstairs off the living room and the other off the master bedroom upstairs to enjoy the wonderful sunrises & sunsets. The front has a lovely view of a pond with the relaxing sounds of the fountain. 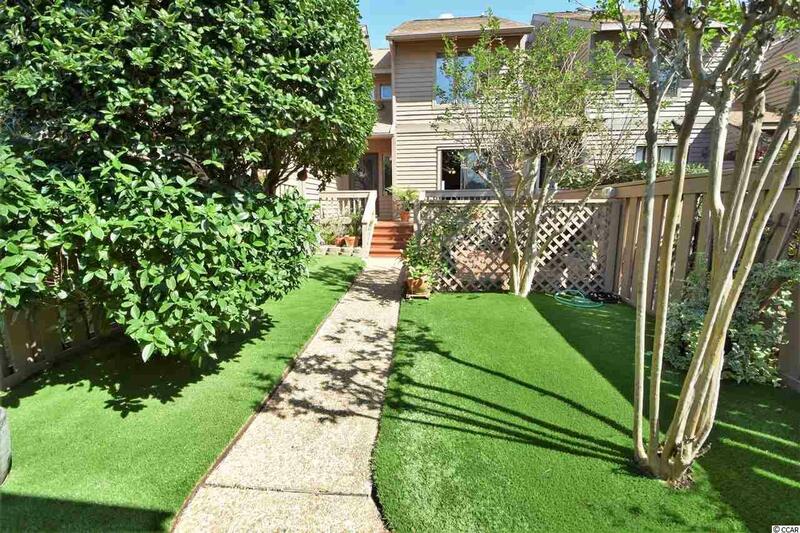 When you arrive at your new townhouse you will walk into a beautiful courtyard with myrtle wood trees, roses and gardenias complete with turf that has a unique drainage system. All is low maintenance. Enjoy entertaining your friends while grilling out on your court yard deck. Next, enter through the French doors from the courtyard into the state-of-the-art gourmet chiefs kitchen which is one of a kind. With granite counter tops, stainless steel appliances, oak cabinetry with many pull out drawers, custom built Island with farmer sink and so many much more! It is a Chief's Dream Kitchen! Hardwood floors through the main floor with an open concept and new carpet upstairs. The living area downstairs has a wonderful wood burning fireplace to keep you warm and cozy on cool nights. The hot water tank, HVAC unit, roof, all appliances including washer and dryer are all 5 years young or younger. 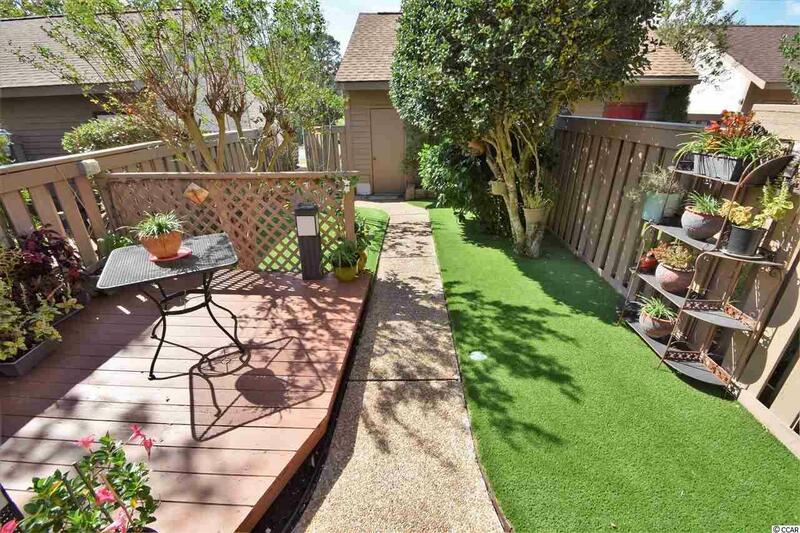 Landscaping, pool, and tennis court as well as cable are included in the HOA fees. Call today to schedule an appointment to see your new home at the Beach! All information is deemed reliable but not guaranteed. Buyer is responsible for verification.